Properly operating plumbing and drains are critical in restaurants, cafeterias, delicatessens and other food service establishments. Toilets and urinals must flush away waste, sinks and drains should flow without interruption, and hot water has to be available for dishwashing and cleaning. A clogged drain or overflowing toilet could spell disaster in the food service industry, especially during peak times! Plumbing problems can cause unsanitary conditions for customers and employees, unpleasant odors, contamination of food prep and serving areas, and potentially loss of revenue to the business. Plumbing and drain problems are not limited to inside the building they can also occur in your parking lot and landscaping, or in the sewer lines under your building. Most food service businesses are required to have backflow devices to prevent cross-connections between drinking and non-potable waters. Backflow devices must be inspected annually to ensure proper operation and the safety of your patrons. Sam T’s Plumbing commercial drain care products were designed with food services in mind. Over time and with daily use, grease and other organic matter build up on the sides of your drain pipes, reducing flow. To help solve drain line blockage problems, Sam T’s Plumbing’s system for ongoing drain maintenance combines high technology with the latest advances in environmentally-friendly microbiology. Our maintenance products include Drain and Grease Trap Treatment, Waste Digestant, Sugar Residue Digestant, Urinal Blocks, Fragrance Blocks, FloorDefense and Root Destroyer. These products are a must in every food service business! For all of the plumbing and drain needs of your food service business, you need a plumber you can rely on and trust. You need Sam T’s Plumbing. Licensed Plumber serving Orange & Seminole County food service businesses for more than 3 decades. 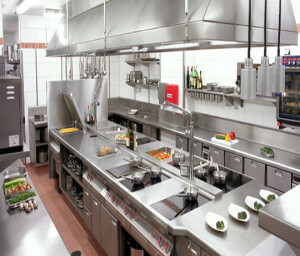 Sam T’s Plumbing professionals understand the wide array of plumbing or drain cleaning needs of food service businesses. And, we understand the urgency of correcting a plumbing or drain problem. That’s why we provide emergency service 24 hours a day, 365 days a year. 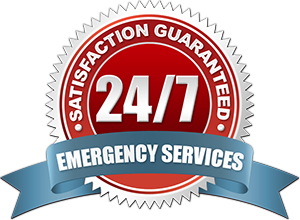 Sam T’s plumbers and drain cleaning technicians have the training, expertise and equipment to handle all types of routine maintenance issues and emergency problems so your doors remain open for business. Maintenance programs tailored to the specific needs of your food service business—for one location or many. Because few things cost food service businesses more than downtime, Sam T’s Plumbing provides experienced service technicians, state-of-the-art equipment and the know-how to fix your problem fast, so your operation is back to normal as quickly as possible. Food service managers can rest assured that fast, quality service from a licensed and insured Sam T’s Plumbing professional is just a call away.